As an example, let’s look at one of the most innovative institutions in the world: the Massachusetts Institute of Technology (MIT) located in Cambridge, Boston. Since success can be defined many ways and comparing academia with industry can be iffy. Given the MIT’s extraordinary entrepreneurial spirit, however, here is a metrics that business can easily relate to: the MIT’s living alumni formed over 25,000 companies that employ 3.3 million people with revenues close to 2 trillion dollars. This resembles the 11th highest GDP in the world – compared to countries, the MIT ranks among France and Italy! – Not a bad track record for a single institution that fames 50 Nobel laureates! For comparison, France has 57 and Italy 20 Nobel laureates. 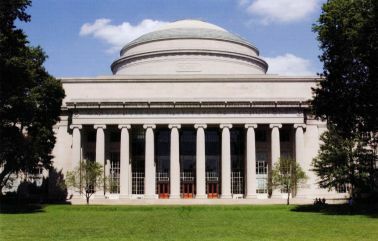 So much for a success metrics on a social, economic and personnel scale… There is no doubt the MIT is successful in many ways and quite different from the other 2,500 or so graduate schools in the U.S.
What does the MIT do differently? What can we extract, learn and apply to our own organization to become more successful? What is it exactly that makes the MIT different and so successful? That’s where the MIT is different: it backs up new ideas for tangible application with solid science. This approach is consistent with the MIT’s internal definition of innovation that also meets the commercial needs of companies outside this alma mater and comes down to this: Innovation is novelty plus its application. A good idea alone is not enough – no matter how ingenious it is. It must be applied help solving a real-world problem effectively. Where the success metrics of traditional universities counts published articles, hence the classic ‘publish or perish’, the MIT focuses on practical and hands-on application as in ‘demo or die’! It brings together ivory tower and workbench in a most symbiotic and practical way. Less talking, more doing – and commercial success tends to follow naturally. Do it like the MIT? So, how can your organization become more like the MIT and making its innovation potential actionable in a reliable, robust and repeatable process? First of all, what is ‘Diversity’? Diversity in organizations is often understood bluntly or interpreted narrowly as the goal to meet a certain quota of easily observable attributes like color or gender leading towards a more mixed and ‘colorful’ workforce. Voila! – Mission accomplished? Not really! Imagine this more theoretical but possible case, where different looking staffers grew up together and shared similar experiences for a longer period like, let’s say, in an orphanage, a boarding school or an academy. The optical impression of this diverse workforce then is an illusion as they are anything but diverse except for their physical appearance. What counts within an organization for innovation to go beyond incremental improvement is the diversity of thought, expertise and experience for a simple reason: Locking up your subject matter experts in a room to have them come up with innovative ideas over and over is not a recipe for success. Sitting inside a box of conformity, homogeneity and consensus does not make good ingredients for breakthrough ideas and innovation – that is why we need to enable experts, in particular, to think ‘outside-the-box’ by mixing up teams by inducing meaningful diversity. Since break-through ideas tend to emerge at the crossroads of disciplines and experiences, closed and less diverse groups of experts simply cannot come up with them easily – if at all! In fact, working with non-experts or experts from very different disciplines or lines of work not only opens up your experts’ network but also forces them into a different thought processes for this fresh and different perspective we are all looking for. Many managers initially regard this as sand in their well-oiled machine that only delays or complicates getting the work done – and therefore avoid mixing in heterogeneous expertise. Nonetheless, experts thinking out of their box of expertise emerges from combining different disciplines – related or completely unrelated fields of research and application. Outsiders or even laymen ask questions that experts would not dare to ask their peers so not to appear incompetent, inefficient, insulting or insane! Research even shows that experts tend to trust other experts too much whom they worked with closely over extended periods: They don’t question each other’s judgment and assumptions anymore – which may just be what is needed to innovate! Experts do not research enough. – Does this sound counter-intuitive to you? Interestingly, scientific data suggests that experts research less within and on the fringes of their own field of expertise. A high level of expertise can therefore become a liability and lead to blind-spots for experts. – Why is that? Established experts in their field tend to focus rather on what they already know, assume knowing what there is to know about the subject matter and stop questioning their own knowledge. This leads to a pattern seeking to reinforce the own knowledge, thinking and point of view rather than challenging it! What experts should do instead is exploring more what they don’t now, seeking out challenges of ideas, experiences and findings by experts of other disciplines. This cross-pollination is more likely to lead to the next breakthrough. By the way, on the other end of the expert spectrum, the naïve laymen researches too little too, because they don’t understand the basics and don’t know what to look for or what is important. It is the ‘amateurs’ with a general understanding of the subject that research most, since they feel they need to get a deeper and broader scoop while knowing what to look for and what could be relevant. A key ingredient of the MIT is championing a meritocracy, i.e. honor and progression of talented and able individuals based on their achievements rather than their status, tenure or other privileges in the organization. This levels the playing field and motivates by focusing everyone on the only thing that really counts: performance. Sure, many companies and organizations claim to have a ‘performance culture’ or claim to ‘pay by performance’ as the primary incentive for their employees. This ‘performance culture’ often looks better on paper than in reality (except for small pockets of jobs like freelancing sales staff, who only receive a margin or commission for a successful transaction, but a low or none fixed salary otherwise). For staff without commission incentive, how much of the compensation actually does tie to performance directly? Odds are you can get along just fine in a day job even without exceeding expectations in performance reviews. It is difficult to compare a company with an academic institution (like the MIT) directly in a meaningful way, since students are typically in for the glory of pushing limits to try out and create things together with other brilliant minds that exceed most people’s wildest dreams. However, it is fair to say that the MIT’s meritocracy and entrepreneurial framework sets up a winning concept with commercial success and material pay-off to follow rather naturally. – Check out the MIT’s fabulous Entrepreneurship Center (http://entrepreneurship.mit.edu/) to find more on entrepreneurship at the MIT. The lesson here is not to focus on monetary rewards alone or as the first tool at hand but to become flexible and cater to what is important to inspire your staff to greatness. Foster an environment of healthy competition, transparency, high ethical standards and consider catering to individual preferences and needs beyond handing out money broadly like watering flowers. While money is indeed most important to one, others may prefer a few days off, handwritten note by an executive or individual office decoration, for example. Another aspect to consider is that research is costly and resources are limited. Cross-pollination can be a cost effective alternative. Open innovation, however, works differently and is for genuine out-of-the-box thinkers. It is a powerful approach especially if you don’t have the resources or time to conduct the needed research yourself. The basic idea is that other people or organizations may already have a viable solution or approach to your problem. You don’t find and make these connections though if you don’t leave your ivory tower! Open innovation refers to looking for existing solutions beyond your usual area of expertise and even outside your industry and adapt or configure them to your problem at hand. Sure, there are also options other than buying or licensing solutions, such as joint ventures, spin-offs or ‘skunkworks’ projects to invent outside the company. What model fits best depends on the organization, its environment and other constraints. Classic examples of Open Innovation – and there are many, many more! Car makers looked into making car brakes more effective by preventing wheels from blocking while braking, so the vehicle maintains maneuverable safely to prevent a collision. They found an existing solution, anti-locking brakes (ABS), in another industry that faced the same problem earlier and with a higher urgency – the aerospace industry: Airplanes are heavier than cars, land at high speed with a need to stop fast and controlled before the end of a run-way. This includes safely braking and steering airplane wheels on the ground without blocking tires burning up or incapacitating the plane’s maneuverability. Here is another one: with increasing concern for air travel safety, airport security organizations were frantically looking for ways to screen passengers for hidden metal objects fast and effectively. Given time pressure they looked into existing solutions in other industries. But who had already developed experience and equipment to scan metallic objects in organic bodies? Where would you start looking? Well, they found their solution in the lumber industry which may come surprising. It makes good sense though when you take a closer look: the saws for slicing trees in saw mills get damaged when tree trunks contain metal objects like bullets, nails, spikes, etc. So, saw mills needed to detect these objects in the tree trunks before cutting the wood. They introduced stationary metal detectors (magnetometers) that encircle a tree trunk while the trunk is being pushed through the machine and scanned inch by inch. Perhaps you even remember that the very first metal detectors for humans at airports had a round shape? Well, now you know why! Innovation and Diversity are a dynamic duo! Both go hand in hand to wipe out blind-spots created by using the ‘usual suspects’, i.e. relying on the same team of experts over and over again. Innovation is novelty and its application. Bring ‘thought diversity’ into expert teams. Incentivize by establishing a ‘meritocracy’. Use open innovation to speed up research. Leadership vs. Management? What is wrong with middle management? Previous Previous post: Measure your company culture in real-time!